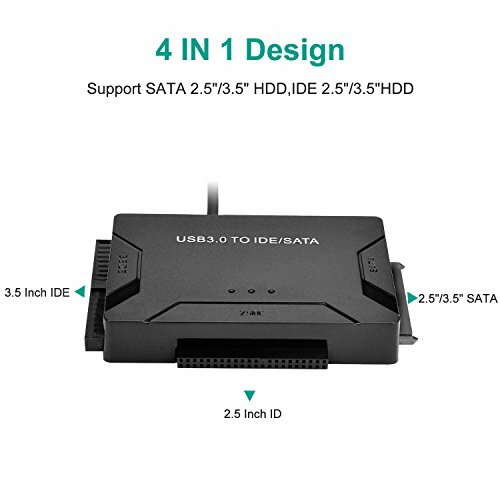 Support 2.5"/3.5" IDE/SAT/SSDHDD & 5.25" IDE/SATA CD/DVD drives. 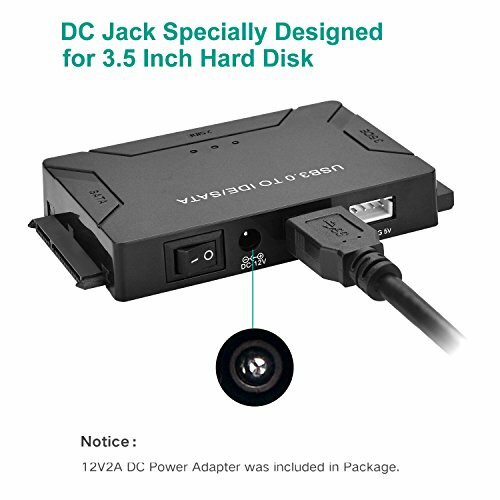 ✅ Universal Hard Drive Adapter -- This device supports 2.5"/3.5" IDE/SATA/SSD hard drive disks and 5.25" CD/DVD drives, getting all your drives active through USB port to the computer. 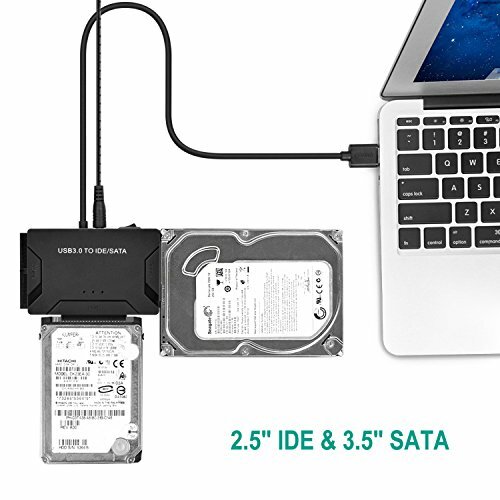 Moreover, it enables to transfer data to all three hard drive disks simultaneously or among the 3 drives. 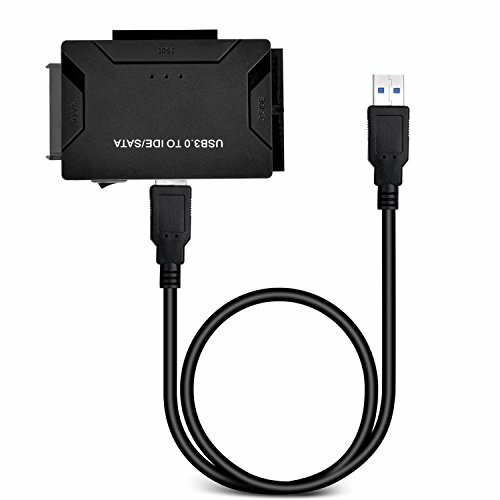 ✅ Super Speed -- With USB 3.0 interface, the device supports transfer speed up to 5 Gbps, but the actual transfer speed is limited by the setting of the device connected. 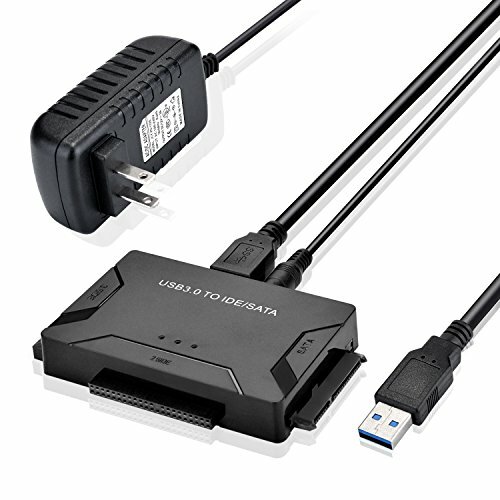 The adapter is also compatible with USB 2.0/1.1. 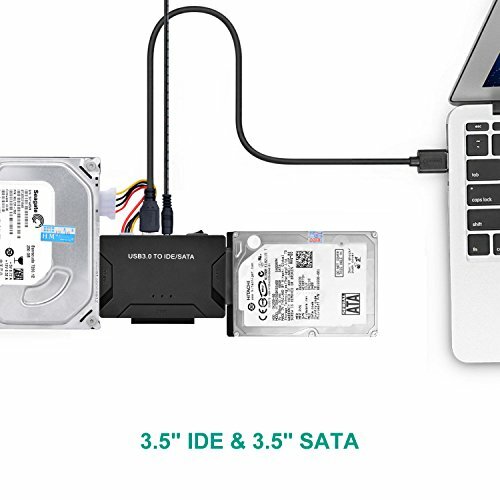 ✅ Huge Capacity -- Supporting 4 TB, this adapter is a perfect tool to duplicate, copy, backup or transfer large amounts of data from one drive to another. 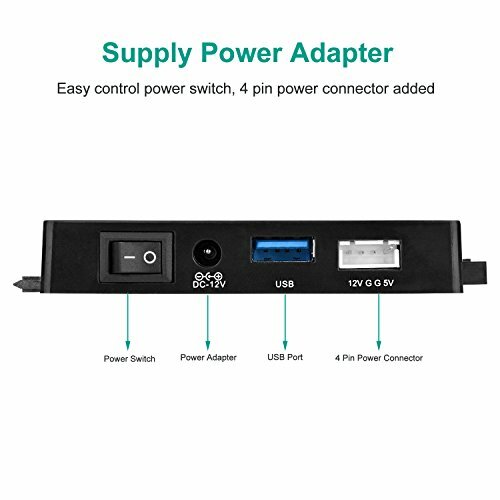 ✅ Convenient Switch -- An on/off Switch design for hard drive disks protection, makes it convenient to use or switch off. 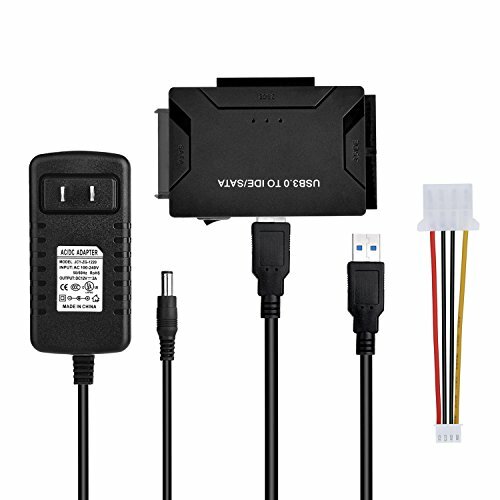 So easy and simple operation efficiently enhances lifespan of the devices. ✅ Compact Design: The adapter is so compact that you can take it in your pocket and use it whenever you want. 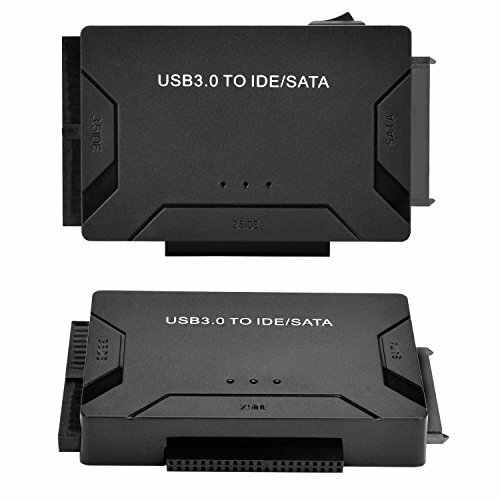 It's really a perfect data access and storage conversion solution for a wide range of users.